Eye care professionals understand how the human eye really works, as well as diseases and conditions that affect your vision - many of which do not have obvious symptoms. 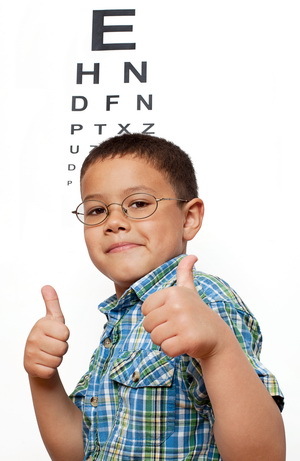 Eye doctors also know how age and risk factors affect vision over time - from birth to old age - and they understand the benefits and features of corrective lenses including glasses and contacts. 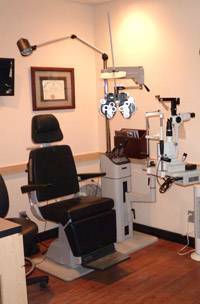 Our optometrists at The Eye Doctors take the time to explain the results of your eye exam, describe your options and listen to your eye care needs. 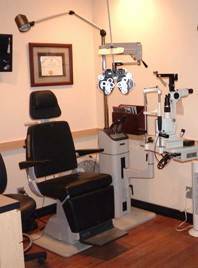 Maintaining your eye health is a lifelong effort, and our eye doctors look forward to partnering with you to care for your eyes as well as answering all of your eye care questions. Q&A with "The Eye Doctors"
Q: What type of contact lenses are best for children? A: Dr. Viker and Dr. Gustafson recommend daily disposable contact lenses for children. Daily disposables allow the patient to have a sterile, fresh lens every day. Many infections occur when patients do not properly disinfect their contact lenses with solution. Daily disposables eliminate this step completely and help decrease the risk for contact lens related problems. This method of wearing contact lenses also eliminates the need for you and your child to keep track of when the contacts need to be replaced, as they are thrown away at the end of every day rather than at the end of two weeks or a month.